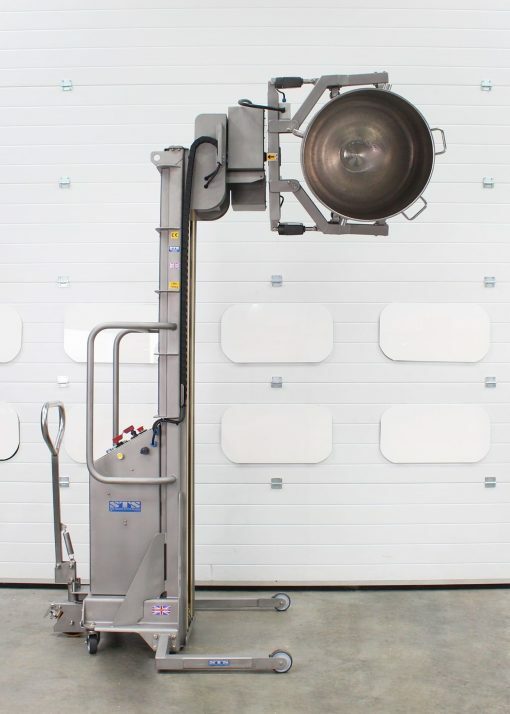 Designed for a wet-food area, this electric Hobart-style bowl tipper features power clamp, lift and rotate, and has an Ingress Protection (IP) rating of 66. 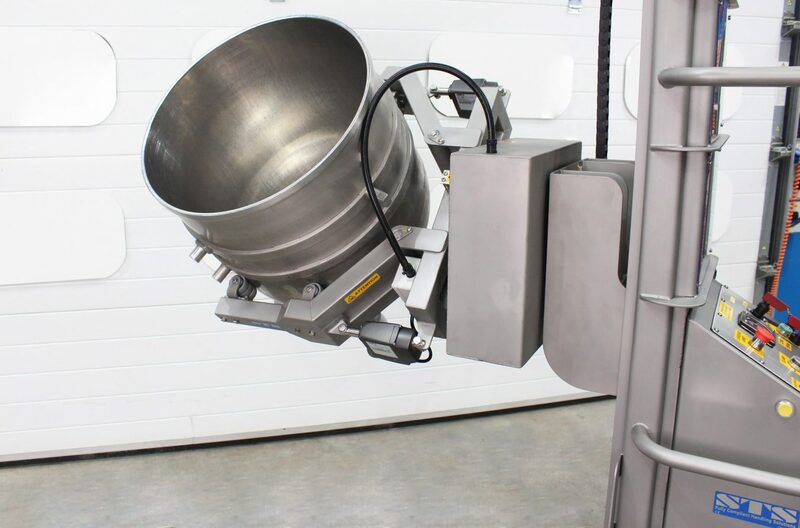 Our customer commissioned us to create a product to handle a variety of different food-grade bowls, much like our forward-tipping Bowl Rotator. 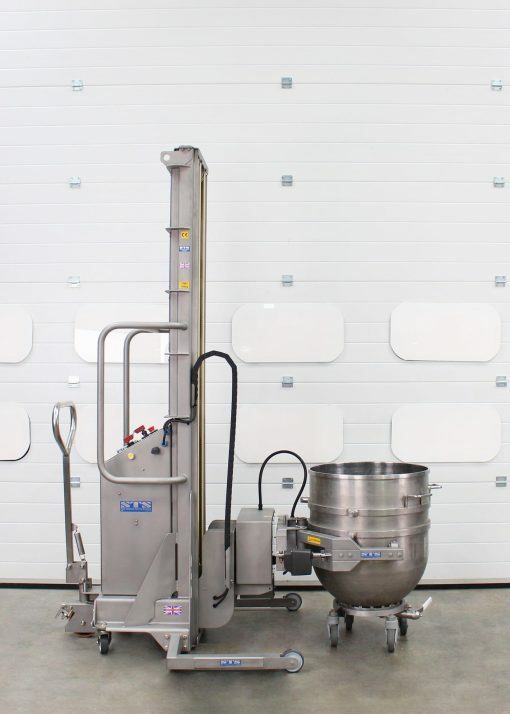 They also wanted the equipment to feature electric power lift, clamp and rotate functions. There were a number of dimensional constraints, which meant the unit had to be both restricted in height and overall length. This posed a bit of a design challenge, which our team ultimately overcame. 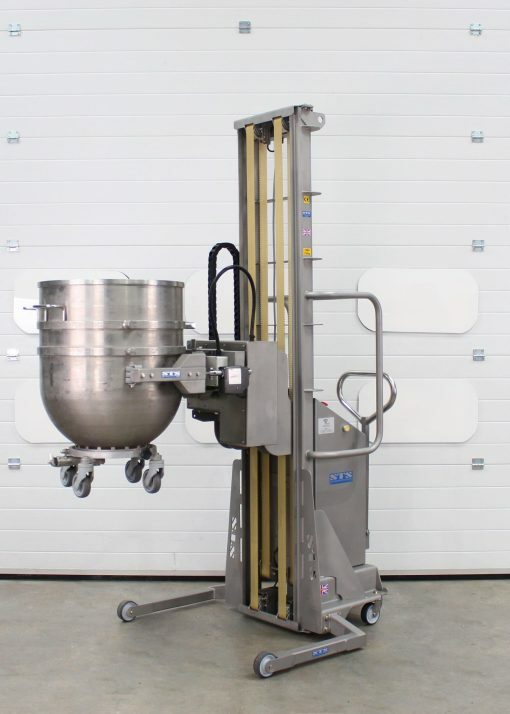 Our customer was to use the lifter in a wet-food environment, so it was important that the electrical circuits were protected to IP66. 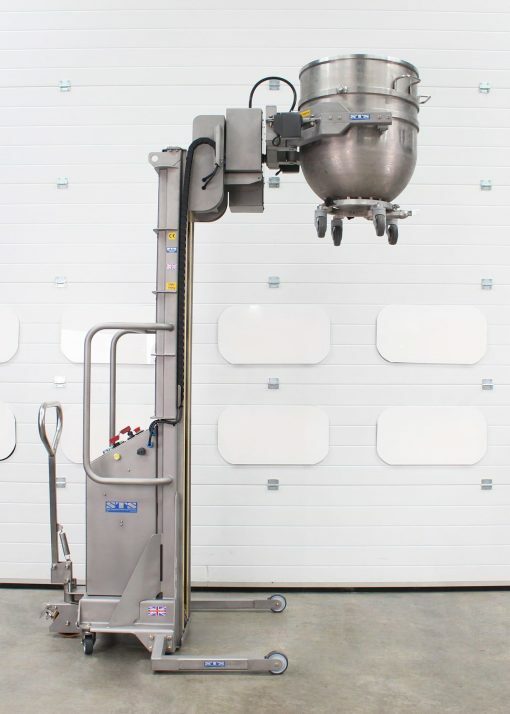 Our electrical engineers assessed the integrity of all parts of the stacker to ensure the model was robust.